It was taken at sunset on October 4, 2012 (our first full day on the island) from the 30th floor of the Sheraton Waikiki Hotel. We stayed 2 weeks on Oahu, Kauai, Hawaii Island, and Maui and enjoyed many gorgeous sunsets and unbelievable memories in paradise! 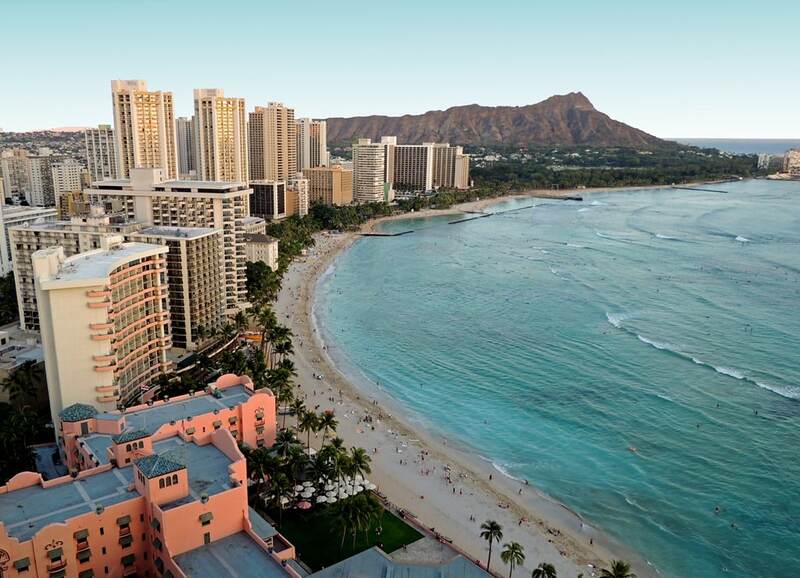 That’s an excellent view of Hawaii’s most iconic beach, with Diamond Head anchoring the scene and the gentle surf coming to meet the white sandy beach. Ahhh! Where’s an instant teleporter when you need one? Do you have a Hawaii vacation photo that you’d like to share? Here’s directions on how to submit your Aloha Friday Photo. One month from today, I’ll be able to see this view for the first time! YAY! Great photo, and I can’t wait to submit my own!